Old friends, new friends, happy faces, rhum cocktails in hand, in the breathtaking crystalline waters of Île Plate (Flat Island) on the north coast of Mauritius, an island nation in the Indian Ocean. Everyone has visions of what paradise is like, most of which involve tropical islands with white sandy beaches, palms swaying in the soft breeze and crystal-clear water. Mauritius certainly ticked all the boxes but a place can only be paradise if the experience is shared with a loved one or good friends. The image above reflects the incredible week we had together; a week filled with laughter, excitement, jaw-dropping natural beauty, marvellous food and amazing experiences. Mauritius was our paradise! I arrived in the early hours of the morning on board an Air Mauritius flight from Paris (11+ hours) to find a spanking new terminal – the ultra-modern terminal had literally opened just a few days earlier. As we disembarked, I noticed the extraordinary light and the silhouette of imposing mountains in the distance. I was tired but incredibly excited. Two hours later, I found myself on the stunning white sands of Le Morne, in the southwestern corner of the island, at the gorgeous St. Regis Resort. I pinched myself several times and dug my toes into the sand in the crystal-clear water. “Yes, I kid you not! You’re in Mauritius!”, I reminded myself. WOW!!! The resort is spread out along the beach, with numerous pools and beautiful restaurants, in a mix of colonial and contemporary styles. The beach, one of the island’s best (in my book), formed a stunning backdrop. I had a grand time enjoying the resort with my blogger friends Jerry and Meruschka! Fun time taking photos with Jerry and Meruschka at the St. Regis Villa. I was booked on a helicopter tour the following day. I made my way back to the airport where I was met by the friendly Air Mauritius staff. What happened next is an experience I’ll never forget! As soon as the helicopter lifted off the tarmac, the breathtaking coastal scenery unfolded very quickly before me. 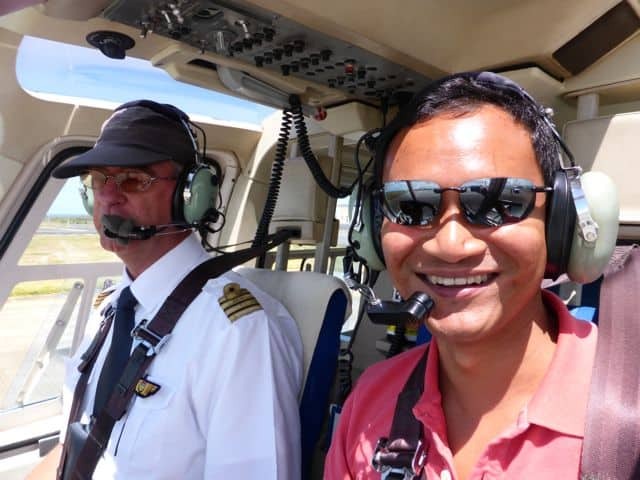 The pilot flew the heli along the south coast towards the east, passing numerous lagoons and islands, before heading through the mountainous interior. “Enjoying the view?”, he asked with a big smile. I was speechless. “I have no words for this!”. The coastal view from the helicopter tour. My next stop was the One & Only Le Saint Gerán Resort on the island’s east coast. Surrounded by coconut trees and fronting a lagoon, this resort was absolutely gorgeous. I gasped as I stepped into my room; the view of the trees, the beach and the lagoon was simply mesmerising! The view from my balcony at the One & Only Le Saint Gerán. I enjoyed a delicious sushi lunch – in my book, when you’re on an island in the middle of an ocean, eat the seafood, and if you can, sushi! Needless to say, the tuna sashimi was some of the freshest and tastiest I’ve ever had and the sushi was terrific! Sushi for lunch on the beach! That evening, I was joined by my friends Emiel, Ishay and Jelle for an insightful wine-tasting at the resort’s Prime restaurant followed by a wonderful dinner at the Indian restaurant situated at the edge of the lagoon. The next day was filled with lots of action and adventure. I headed up into the central mountains where I met my friends Melvin, Nellie and Alberto and our #MyMauritius videographer, Caspar. We were met by our guide Olivier from the tour company Otelair. 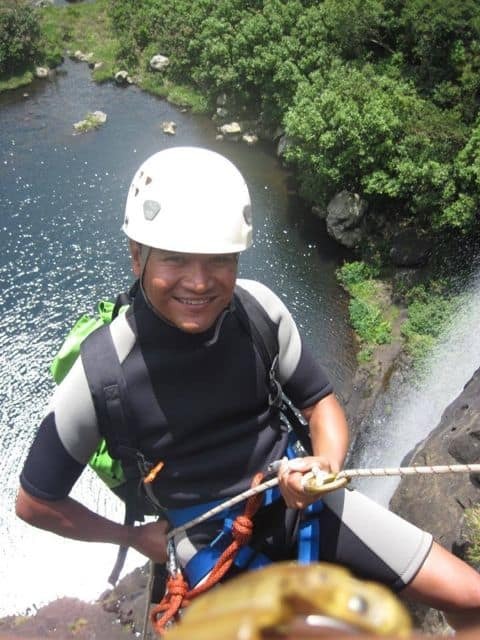 We hiked to the edge of the Tamarin Falls, one of seven cascades, where we got suited up for our rapelling adventure! I looked over the edge and felt my legs turn into jelly! A cold shudder ran across my back and my head felt dizzy. It was a 50 meter drop, with the waterfall beside me. I have a fear of heights but I was determined to do this. Several deep breaths later and after some reassuring words from Olivier, I found myself hanging off the edge of the cliff. I slowly lowered myself down the cliff, feet planted lightly on the cliff-face, and I felt fine. This was actually FUN!!! The fear that had initially engulfed me was gone in a flash! Feeling confident at the top! That evening, I stayed at yet another stunning resort, the luxurious Maradiva Villa Resort situated at Tamarin Bay on the island’s west coast. The resort comprises individual villas along the beach and in the extensive gardens. My villa had a small pool and one of the most beautiful and biggest bathrooms I’ve ever laid my eyes on! That evening, the sunset was nothing short of spectacular! 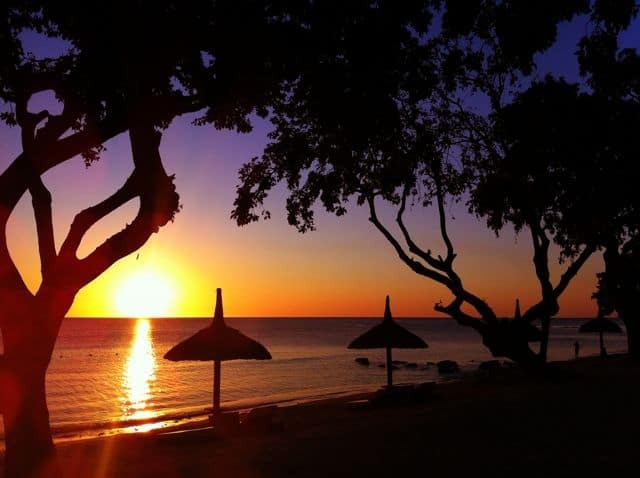 Just like a painting – the sunset at Maradiva Villas, Tamarin Bay. Mauritius had another adventure in store for me the next day. I met up with Caspar and Fan at Tamarin Bay for a dolphin-watching expedition with SUPTamarinBay. 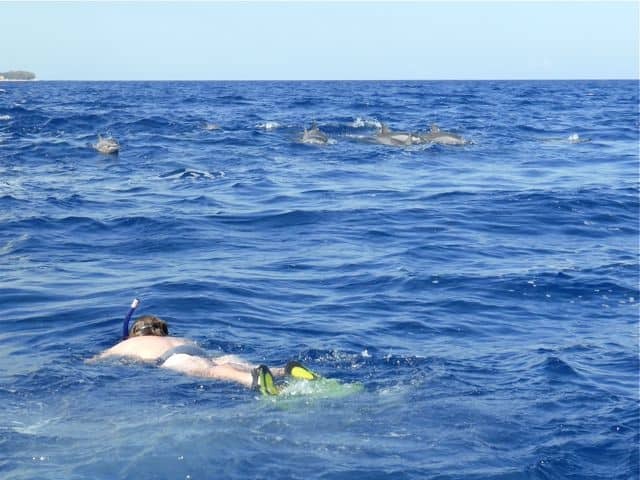 The skipper expertly guided us past pods of dolphins, and we stopped occasionally to see these wild dolphins underwater. At one moment, the boatman stopped the boat just as a large pod of dolphins approached us. Caspar jumped into the water whilst Fan and I excitedly watched the scenes of jumping dolphins from the boat. It was a bewildering experience. When Caspar emerged, he was ‘a changed man’. He shivered in excitement and murmured, “I’ve just seen GOD!”. When he caught his breath, he explained what a divine experience it was to float in that ethereal blue water and watch a ‘wall’ of 60-70 dolphins approach him. They swam rapidly towards him before diving into the deep. It was an intense, spiritual experience which I doubt he’ll ever forget! Later that afternoon, Caspar, Fan and I met up with Nellie and Alberto for a lunch at the lovely Les Lataniers Bleus guesthouse. Our host Josette was as bubbly as she was charming. We had a fabulous home-cooked Mauritian lunch at the beach. Josette posing in front of her lovely guesthouse, Les Lataniers Bleus. The gorgeous lounge in the Les Lataniers Bleus villa. The day ended with another mind-blowing sunset. As I walked along the beach of the Maradiva Resort, I spotted a newly-wed couple posing under the trees. I took a photo of them from afar and tweeted it with the text “Just married… in paradise!”. I (belatedly) realised the possible consequences of the text the second I hit ‘tweet’. True enough, within seconds, a barrage of congratulatory tweets appeared in my Twitter stream! Haha! A quick correction followed! Out fishing… big game fishing! I experienced another ‘first’ the next day – a big game fishing trip! I met Bernard from Zazou Fishing and my pals Rob and Richard at the Black River pier. It was a special treat listening to Bernard as he patiently explained the sport, the equipment and his fishing experiences. We didn’t catch any big fish like marlins or swordfish (we caught a few skipjack tuna instead) but what a day it was, out on the bluest water, with the impressive Le Morne mountain in the distance. Bernard teaching us a thing or two about big game fishing. When we returned to shore, I made my way to the north of the island, passing the bustling capital city, Port Louis. My next hotel was another beauty: the Angsana Balaclava Resort. 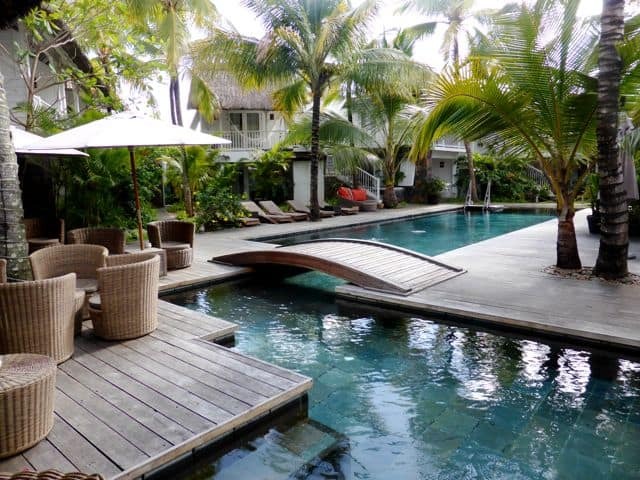 The resort featured typical Mauritian architecture, a gorgeous lagoon pool and a fabulous beach. The beautiful Angsana Balaclava resort. The stunning sunset at Angsana Balaclava. My last day in Mauritius was one I won’t easily forget. It started with a scenic drive to Grand Bay in the north of the island, along beautiful beaches, resorts and picturesque villages. I arrived at the 20 Degres Sud Boutique Hotel to find an intimate hotel with charming rooms and spacious open areas. The cosy atmosphere made the difference I think. For some reason, I felt very attracted to this place. The cosy 20 Degres Sud boutique hotel. The other bloggers trickled in and we headed for the hotel’s pier where we boarded the catamaran for a day-trip to Île Plate (Flat Island). We were all a bit sad as it was our last day in Mauritius but we were thrilled to spend our last day together. Everyone sported big smiles as we boarded the catamaran. We chatted excitedly about our experiences from the past week as the sails were raised. The wind took us in its arms and off we went, speeding over the waves towards Flat Island. We were all having a great time talking and laughing when all of a sudden, two whales showed up, a few meters starboard. A mother Southern Right whale and her baby! They swam alongside us for a bit before moving in front of us – it was another mind-blowing experience that left us breathless from excitement. We became very quiet as we approached Flat Island. The colours were breathtaking – I wouldn’t know how else to describe it – from intense cobalt blue to aquamarine, turquoise and emerald green. The island’s beaches were blindingly white and under us, coral reefs stretched into the distance. The water was extraordinarily clear and glittered in the sun. I was speechless yet again. The colours of Mauritius and Flat Island! We snorkelled for a bit and had lots of fun in the crystalline water saying ‘hi’ to the many fish and exploring the reefs. Snorkeling in glassy water off Flat island. We spent the afternoon on Flat Island at 20 Degres Sud’s stunning Governor House where we had a fabulous lunch and frolicked in the waters off the private beach. Our day on Flat Island was the perfect end to a magical week in Mauritius. Old friends, new friends and unforgettable experiences on a tropical island. That is what paradise is like. 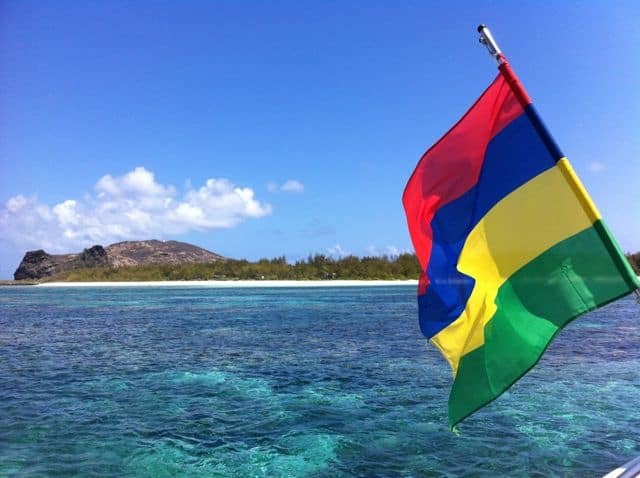 That’s My Mauritius! First of all, a big thank you goes to the #MyMauritius blogger team, XII Monkeys, AHRIM and Mauritius Tourism for making this an unforgettable trip! A huge thank you also goes to my driver Chinniah from Europcar Mauritius for taking me around the island in style! My ride around paradise! Thank you Chinniah and Europcar! And last but not least, a big thank you goes to Air Mauritius. Air Mauritius flies from their hub in Paris CDG direct to Mauritius every day. I truly enjoyed flying with Air Mauritius in their spacious Business Class cabin. The friendly service, wonderful food and wines made the long flight a great pleasure! 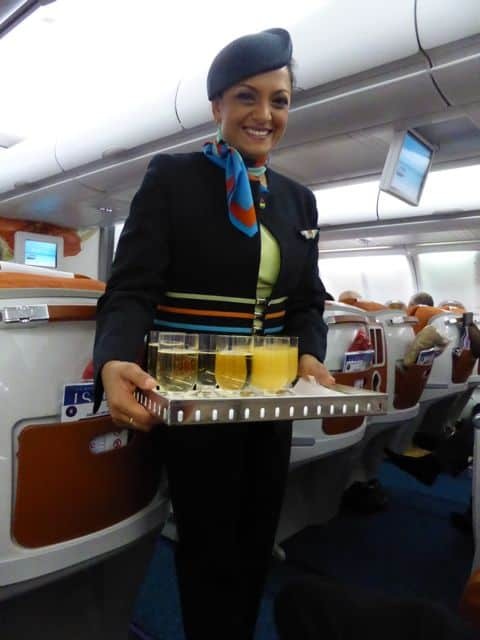 Friendly crew and warm smiles on board Air Mauritius. Note: The #MyMauritius blog trip was created and managed by iambassador and AHRIM in association with the Mauritius Tourism Promotion Authority and Air Mauritius. Velvet Escape maintains full editorial control of the content published on this site. This is so on my list of places to visit – but without the cliff jump. Another proof Mauritius is an amazing place to relax, have fun and see a God! Thanks for sharing the experience, Keith. I’m sold! Mauritus is amazingly beautiful and with so many wonderful things to see and do while there what more could you ask for? Your photos and videos were all amazing too, thanks for sharing! There’s something magical about Mauritius – I’d go back in a heartbeat. Your article brought back some lovely memories, although not of helicopter flights and whale sightings, maybe next time! I’m so happy that you like my pictures! Many thanks for the beautiful pictures of your stay on this Paradise Island. I am very proud to stay on this island since birth. May be one day to get the Marlin, Why not. what an amazing pics Keith, just stunning!!! Wow–that looks gorgeous–a true island paradise! My kind of place. If I’m ever in the area, I’m going to have to visit. It’s the perfect place to relax and recharge. You’ll love it there. It’s a long way from North America but it truly is a special place, definitely a bucket list item… in my book. 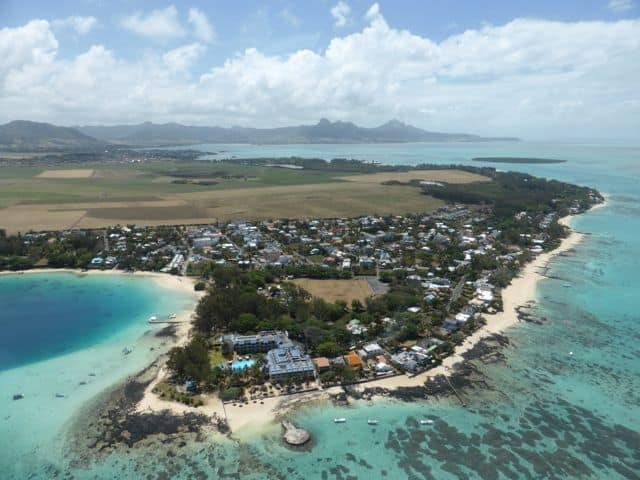 Mauritius looks like the quintessential tropical island! A great place to relax and recharge… Have to put the island on our radar :-). That was quite a read! I almost felt like being in Mauritius myself! More than the place, I think, it’s the created ambiance and hospitality that make the trip memorable.